We moved to Dubai when Ivo was 16 months and Arthur 5 weeks old. It was one of the craziest things we’ve done, and if I had my time again I definitely wouldn’t do it. Not that we’re not happy out here, but looking after a newborn is pretty knackering at the best of times, let alone when you’re packing up your life. We shipped most of our possessions, including Ivo’s toys, but we had choose a small selection to come with us in the suitcase, while the ship chugged all the way to Dubai. It was really difficult to make a decision, but top of the list was Ivo’s Brio train set. He’s absolutely obsessed with it, and despite the recommended age being 3 and over, he’s already building tracks, and watching the train go round and round. Brio is incredibly well made, and incredibly expensive, so we’ve added a good few sets of Ikea track. They don’t fit quite as well, but they’re easily half the price. 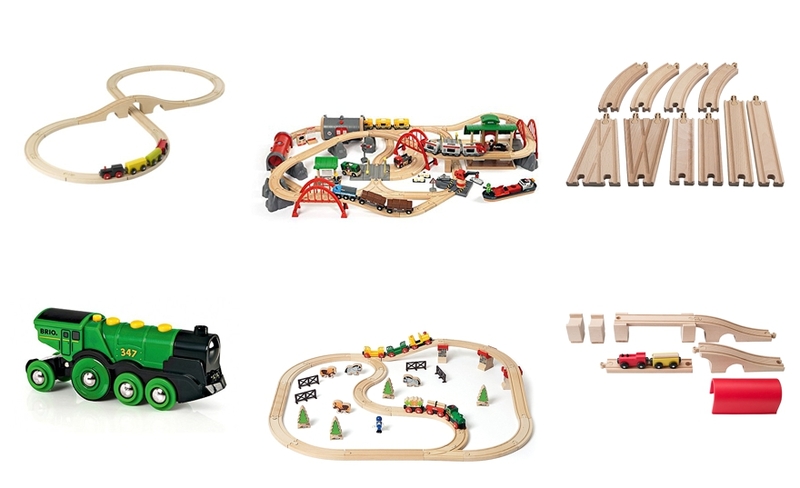 If you want to buy Brio, then do check out eBay – there’s plenty of second-hand sets for sale.